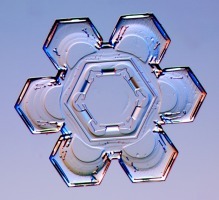 These pictures show real snow crystals that fell to earth in Northern Ontario, Alaska, Vermont, the Michigan Upper Peninsula, and the Sierra Nevada mountains of California. 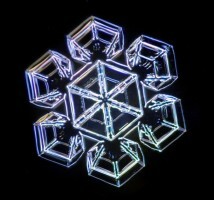 They were captured by Kenneth G. Libbrecht using a specially designed snowflake photomicroscope. Please do not reproduce any pictures without consent; click here for permissions. 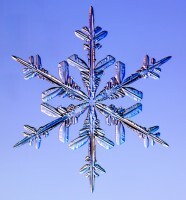 Support snowflake photography -- buy a Snowflake Book or visit the Snowflake Store! 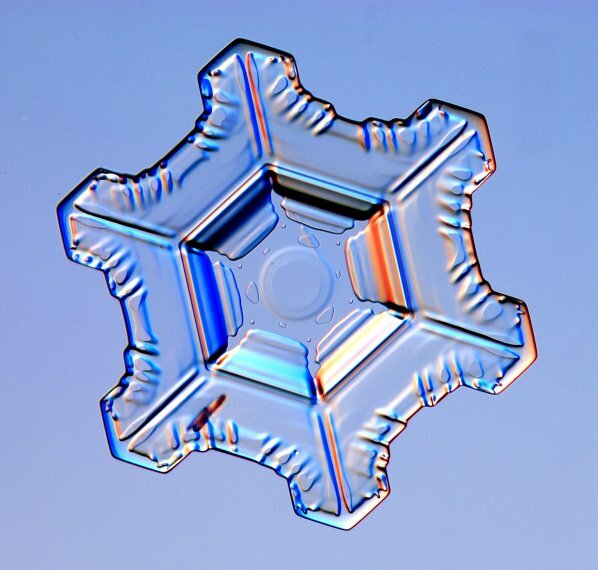 How were these pictures taken? 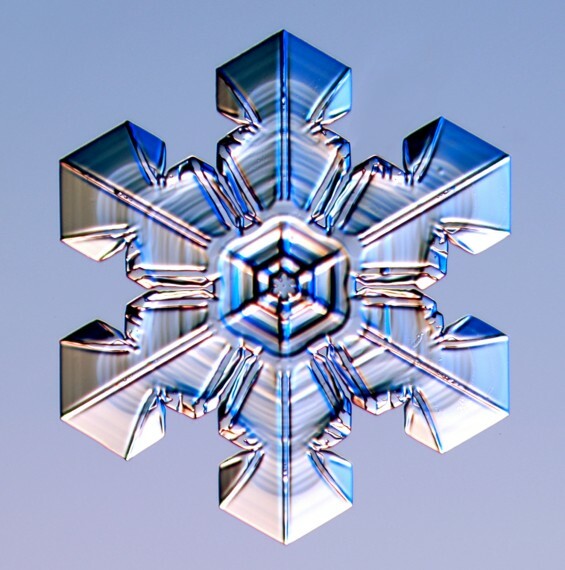 Check out Photographing Snow. Wilson Bentley. 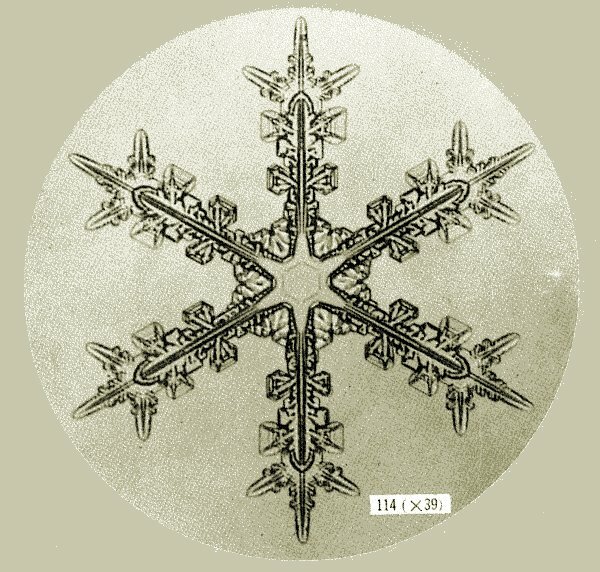 The first substantial collection of snow crystal photographs was created by Wilson Bentley (1865-1931). 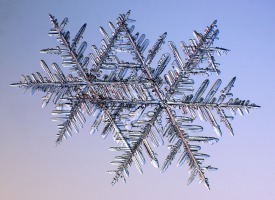 A Vermont farmer, Bentley made snowflake photography his life-long passion, eventually capturing some 5000 images on old-style photographic plates. 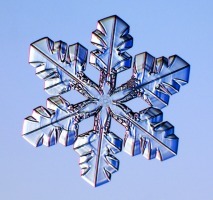 His efforts eventually came to the attention of W. J. Humphreys of the U.S. 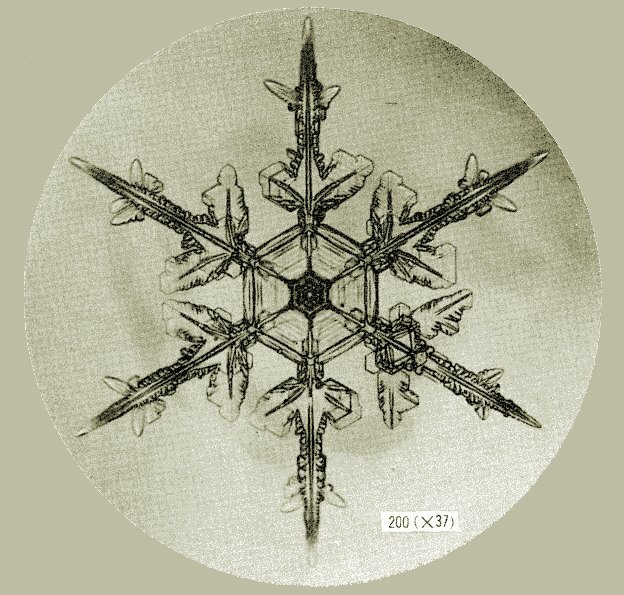 Weather Bureau, who worked with Bentley to publish nearly 2000 photographs in 1931, just before Bentley's death . 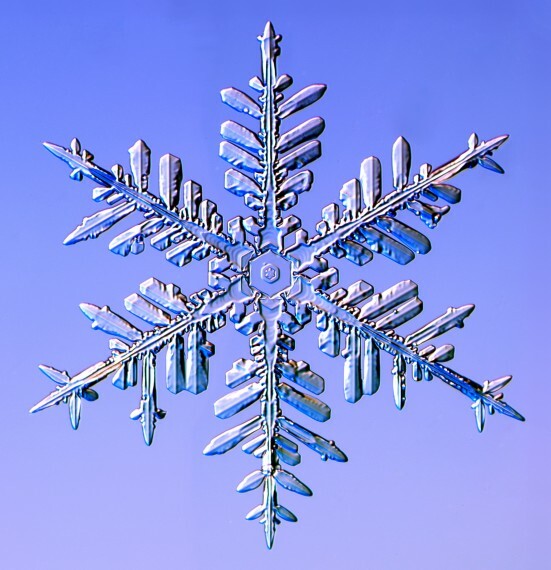 The publication of this book, entitled Snow Crystals, introduced the world to the beauty, complexity, and diversity of snow crystals. Here are a few images from Bentley's collection; more can be found at the W.A.Bentley web site, which also describes the Bentley museum in Jericho, Vermont. 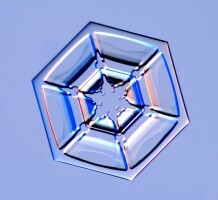 Note that snow crystals are clear, not white. 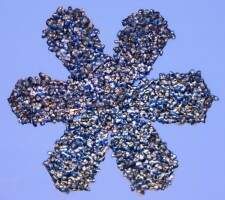 Bentley illuminated his crystals from behind (giving a bright background), and then he made the background dark. Ukichiro Nakaya. 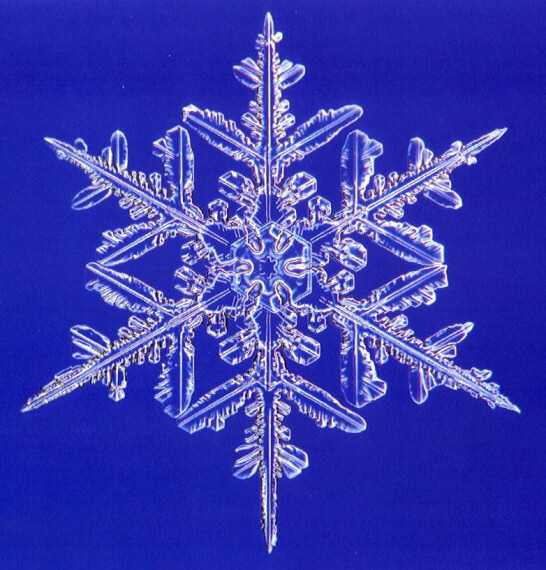 Another classic book on this subject is Snow Crystals: Natural and Artificial, by Ukichiro Nakaya, published in 1954 . 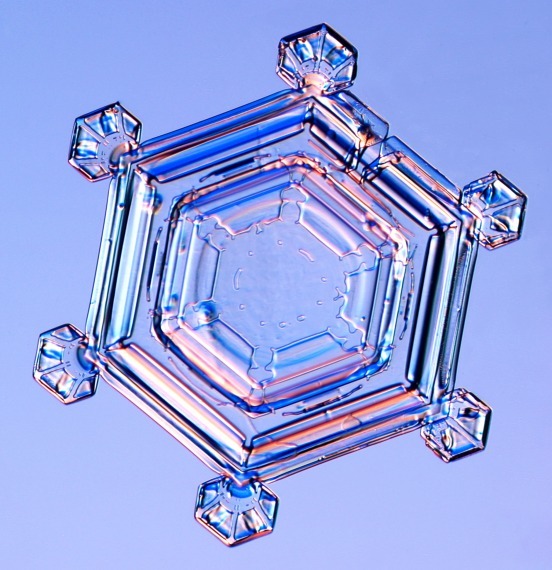 Nakaya was the first person to closely examine the science of snow crystals, and he was the first to create snow crystals in the laboratory. 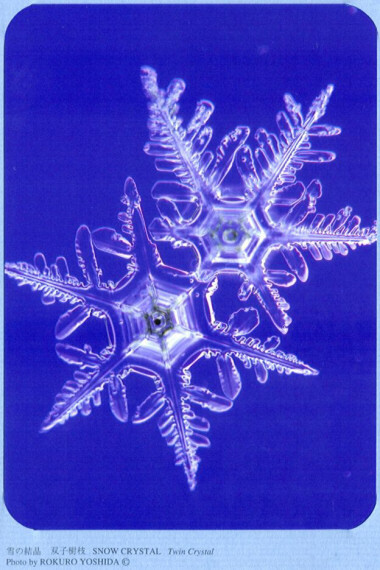 Nakaya's book tells a fascinating story of the true nature of snow crystals and their different forms. A sampling of Nakaya's photographs is shown at right. 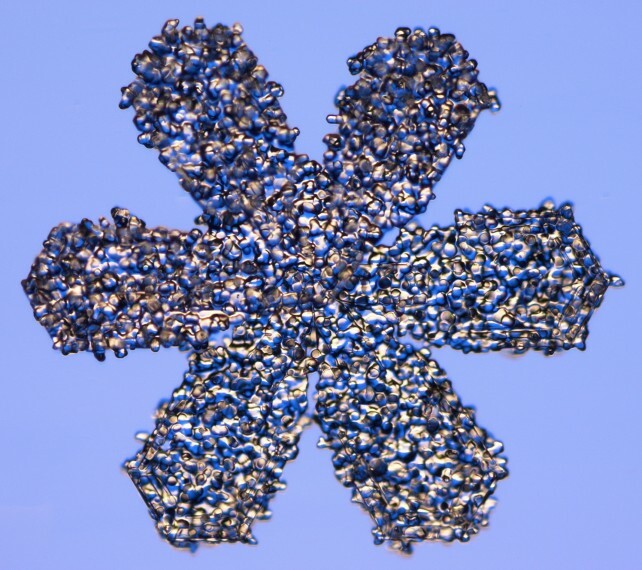 The leftmost picture shows an artificial snow crystal growing on a rabbit hair. Museum Photographs in Japan. 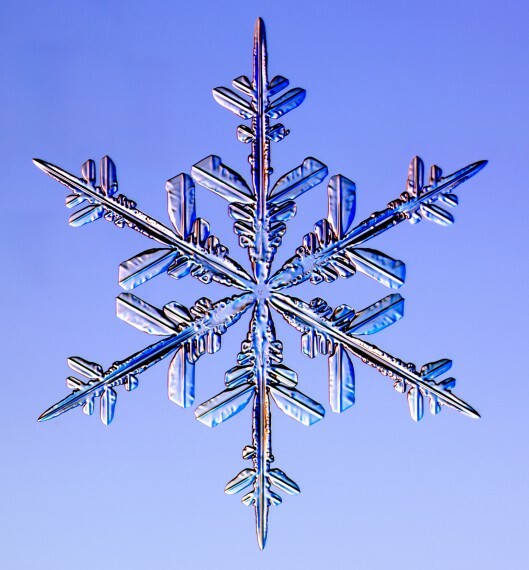 In my travels researching snow crystals, I found two books of snow crystal photographs in Japan (see Snowflake Touring - Hokkaido, Japan). Unfortunately, the only way I know of to buy these books is to visit the museums in which they are sold. 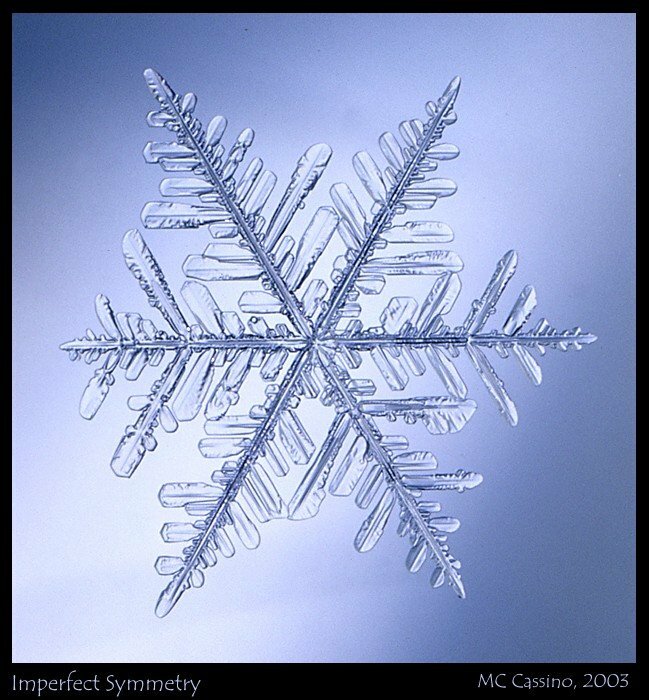 The first photo collection is in the museum book at the Nakaya Museum of Snow and Ice in Kaga city, which includes a number of excellent photographs by Rokuro Yoshida. 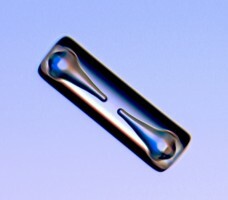 These images were taken using the technique of dark-field illumination, which produces the effect of bright crystals on a dark background. Click here for a virtual tour of this museum. 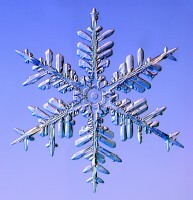 The second book comes from the Snow Crystals Museum at Asahikawa, Hokkaido, Japan. 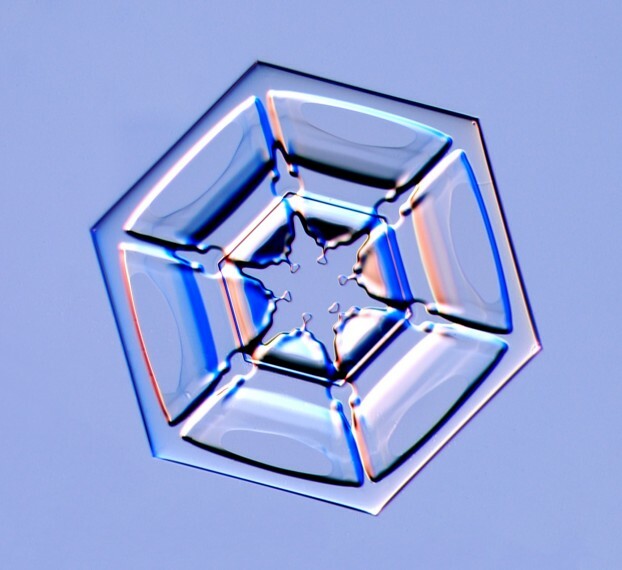 I believe these photos were taken by Yoshinori Furukawa, who also exhibits some snowflake pictures at his Fascination of Snow Crystals web site. Click here for a virtual tour of this museum. 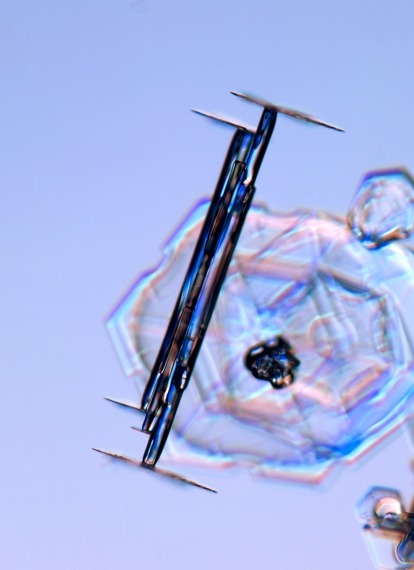 Electron Micrographs. 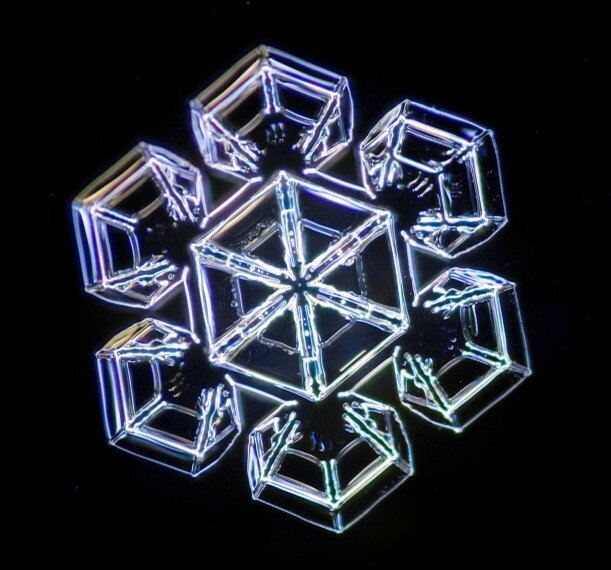 William Wergin has developed techniques for taking snow crystal photographs using an electron microscope, which is capable of examining very fine details in their structure. 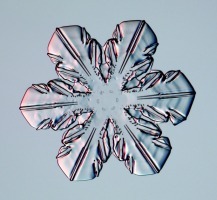 A number of these images can be seen at the Electron Microscopy Unit Snow Page. 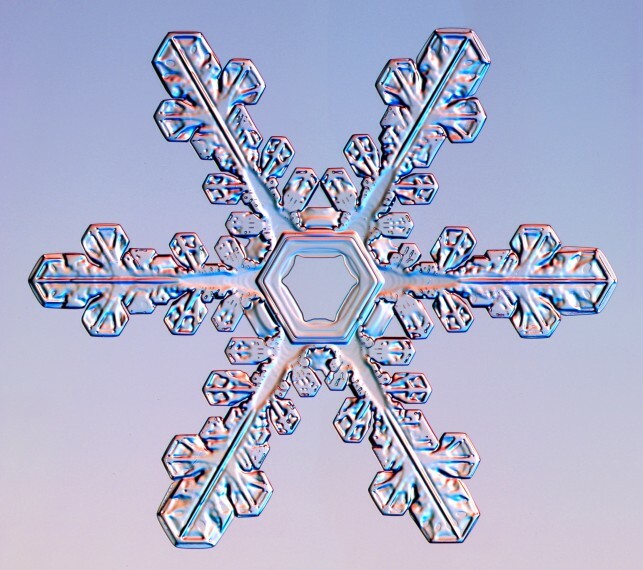 Antarctic Snowflakes. 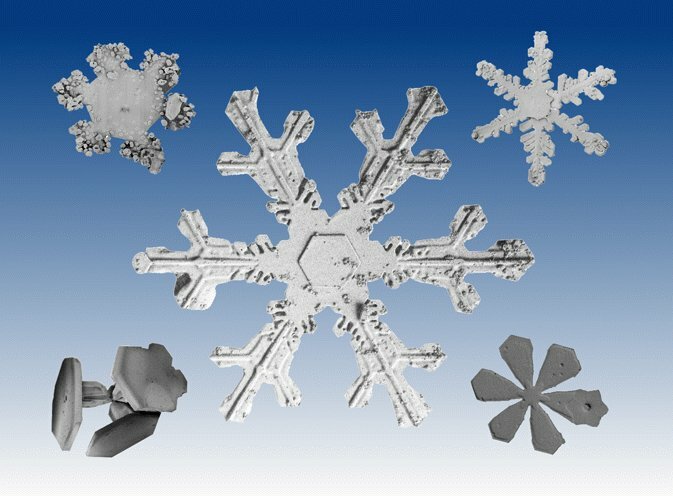 In the extremely cold and dry climate at the South Pole, snow crystals grow into their simplest forms (see the Snowflake Primer). 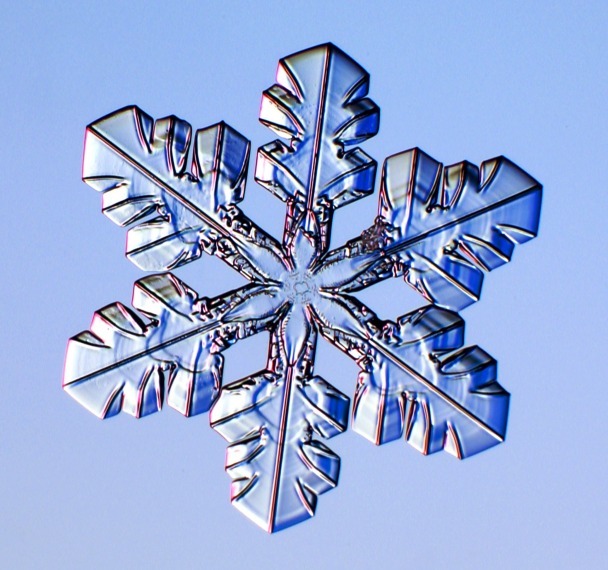 Walter Tape presents a number of photos of such crystals in his book Atmospheric Halos , which describes the atmospheric displays that result from the interaction of sunlight with falling snow crystals (see Ice Crystal Halos). 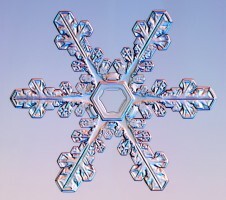 Patricia Rasmussen. 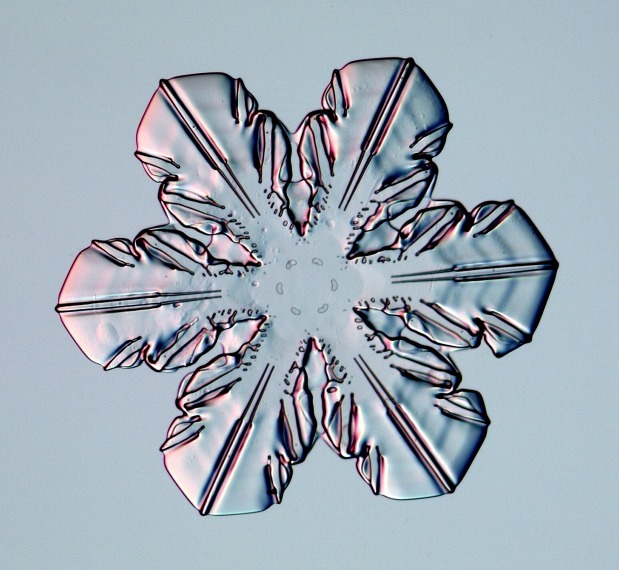 My first venture into snow crystal photography was in collaboration with amateur photographer Patricia Rasmussen, during the winter of 2001-2. 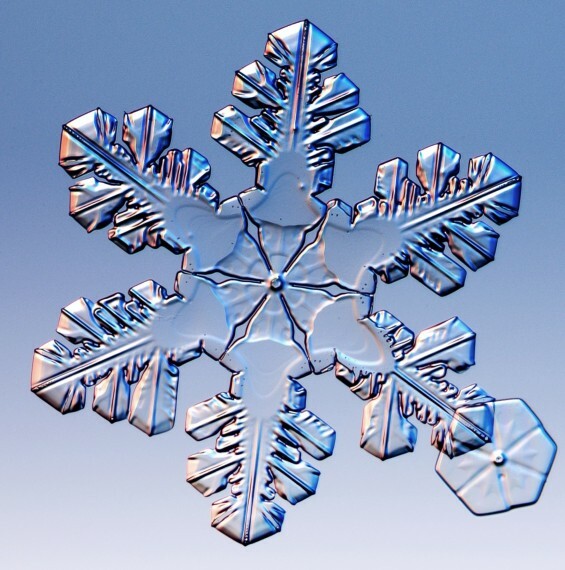 Patty had been taking some excellent snow crystal photographs, but she was limited by her equipment. 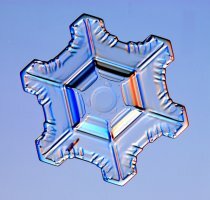 I designed and built a photo-microscope that was optimized for the task (see Photographing Snowflakes) and brought it to Patty in Wisconsin. 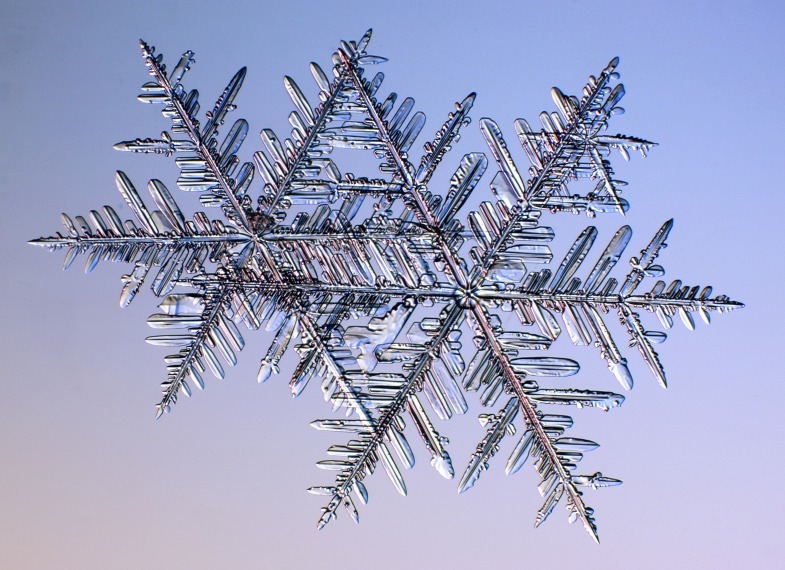 Many of the resulting pictures are in our book -- Snow Crystals: Winter's Secret Beauty. 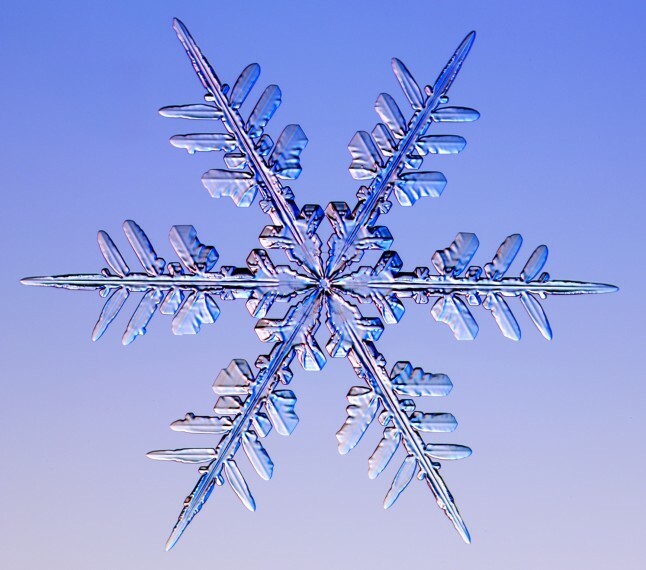 Later I rebuilt my microscope to fit into a suitcase, and I began traveling across the frozen north to photograph snowflakes myself. 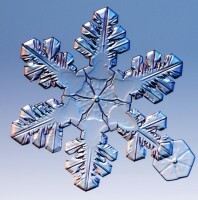 Other Online Photo Collections. 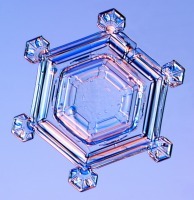 There are only a small handful of snow crystal photographers in the world. 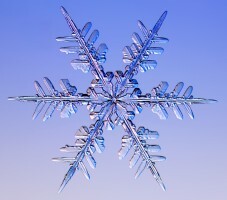 Here are a few other collections of photographs you can find on the web. 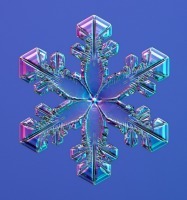 If you know of any more, please send an e-mail. 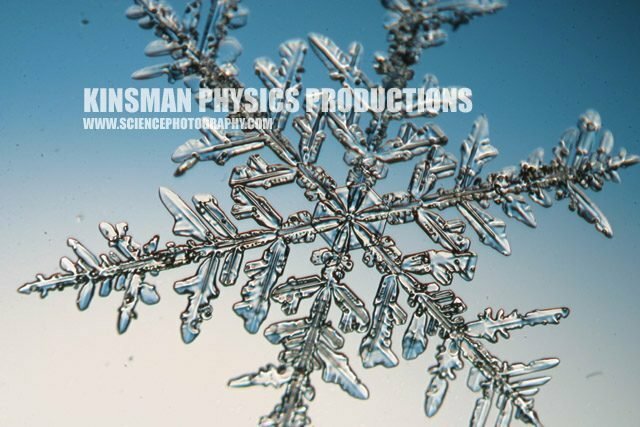 Scientific photographer Ted Kinsman has assembled a collection of snow crystal photographs from Rochester, NY, that can be viewed at Kinsman Physics Productions. 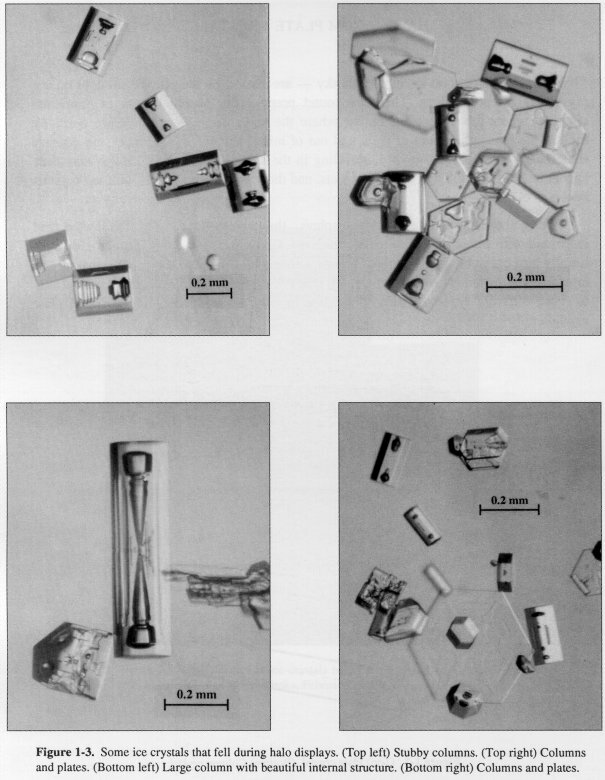 The image at left is from that collection. 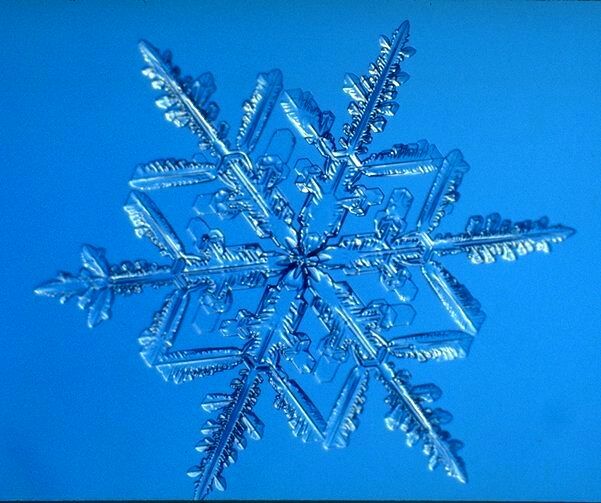 Nature photographer Mark Cassino has posted a collection of images from Kalamazoo, MI, at Mark Cassino Photography, which includes the image at right. 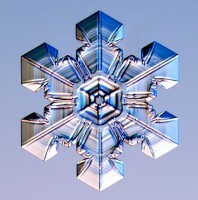 Central Hokkaido, Japan, serves up some pretty good snowflakes, and they have attracted a number of photographers. 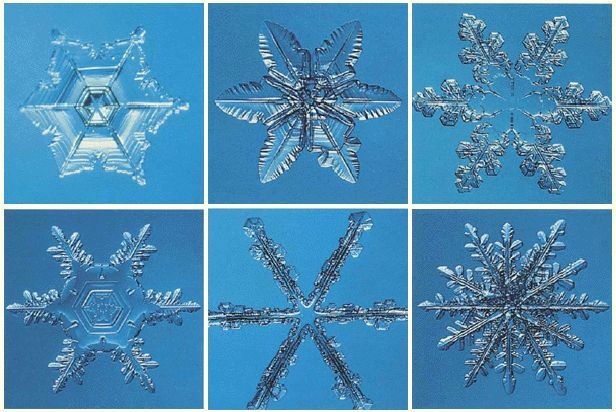 The image at left is one from a small online collection by H. Uyeda that can be viewed at Snow Crystal Gallery. Estonia produces some good crystals too, as photographed by Hermes Sarapuu. 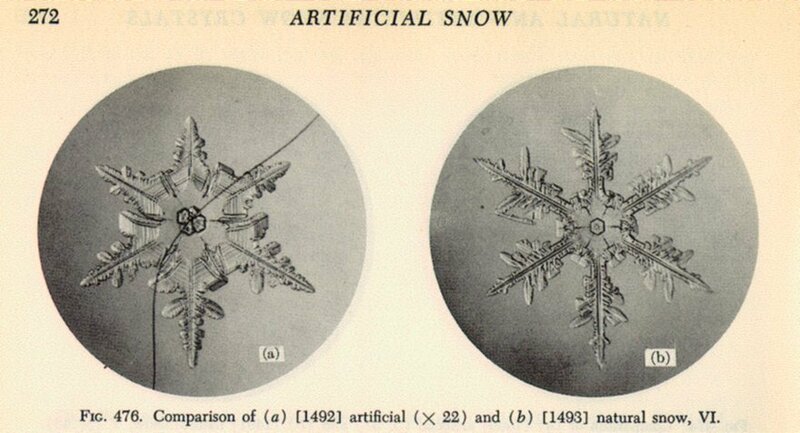 W. A. Bentley and W. J. Humphreys, Snow Crystals (Dover, 1962) The original book was published by McGraw-Hill in 1931. 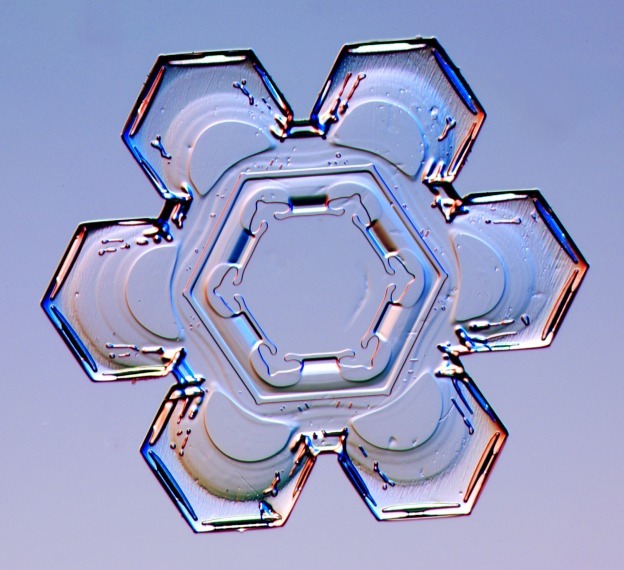 U. Nakaya, Snow Crystals: Natural and Artificial (Harvard University Press, 1954). 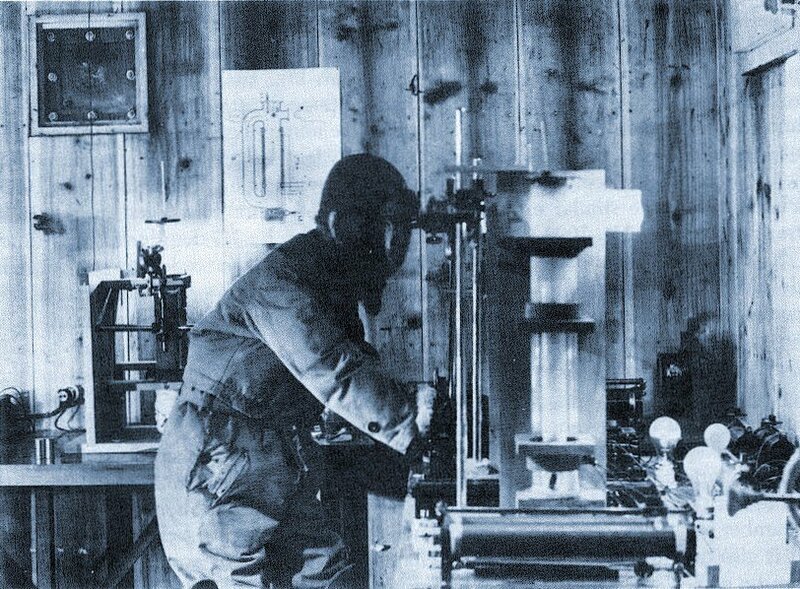 W. Tape, Atmospheric Halos, Antarctic Research Series, Vol. 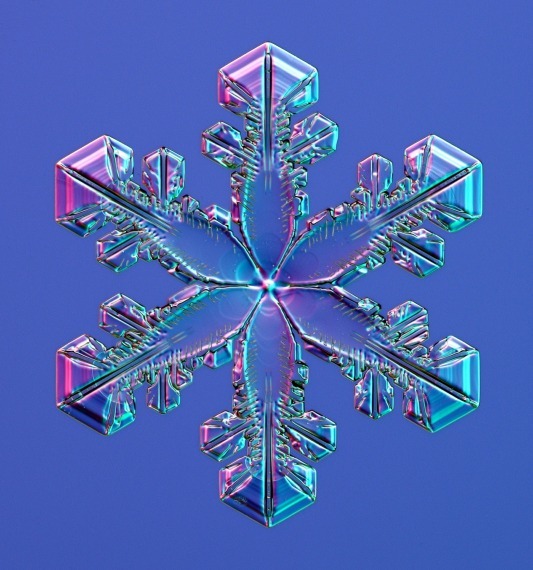 64, (American Geophysical Union, 1994).